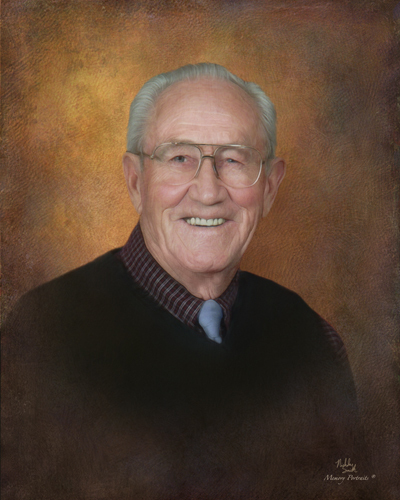 Donald (Don) Wayne Fritz (93yr) of Princeton, IN passed peacefully with his son and daughter-in-law at his side on February 8, 2019 at the home of Rev. Byron Fritz in Sheridan, IN. Don was born Feb. 28, 1925 in Oakland City to Virgil and Elma (Corn) Fritz. He graduated from Spurgeon High School in 1946 after finishing his tour of duty. He served in the Navy during WWII from 1943 to 1946. He farmed and worked in the coal industry until his retirement from Lynnville Mine. He is a 71 year member of United Mine Workers of America Local 9926. He was past Treasury and Grand Marshal of the Labor Day Association. He was a past member of the Lynnville Masonic Lodge, the Spurgeon United Methodist Church and a member of the Mackey Nazarene Church where he donated many hours of work on the building of the Church. He married Ester Kohlmeier in 1947. After her passing in 1980 he married Shirley Bernard. Don is survived by Shirley and his three sons Gary (Debbie), Michael (Carolyn), Byron (Carol) and a step daughter Debra (Roger) Deters. He has two sisters living, Patty Clem and Eva Jewel Baumgardner. He has 6 grandchildren Barry Fritz, Clint Fritz, Jenny Jones, Jacob Fritz, Lori Stephen and step grandson, Eric Overton. Don also has 10 great-grandchildren and many nieces and nephews. Don is preceded in death by his parents, 12 brothers and sisters and one step granddaughter, Kasey Overton. While he was able he loved gardening and working on farm. He never met a stranger. Funeral service will be 10 am (CST) on Friday, February 15, 2019 at the Corn-Colvin Funeral Home, 323 N. Main St., Oakland City, IN, officiated by Rev. Bill Reed. Burial will be at the Spurgeon Cemetery next to the United Methodist Church in Spurgeon, IN. Visitation will be from 4 pm until 8 pm (CST) on Thursday and from 9 am until service time on Friday at Corn-Colvin Funeral Home. Corn-Colvin Funeral Home is honored to serve the Fritz family. You may leave a message of sympathy or light a memorial candle in memory of Don at www.corncolvinfuneralhome.com.